Love Their Way. Punk/New Wave veterans The Psychedelic Furs will be performing tomorrow night at House Of Blues in Chicago, with The Technicolors. On yesterday’s BHT post, I mentioned Graham Nash’s new book, Wild Tales, as well as his upcoming tour, An Evening With Graham Nash. There’s an interesting interview with him on the Rock And Roll Hall Of Fame site, where he talks about his inspiration for writing songs, the need to be politically aware in music; the days when The Hollies toured with The Rolling Stones, and the special kick he got when The Hollies were finally inducted into the Rock And Roll Hall Of Fame. Singer-guitarist Gerry O’Keefe will be performing songs from his latest release, Whatever Suits You, as well as some tunes from his days with the power pop band The Hideouts, at Buzz Cafe in Oak Park from 6:30 to 8:30 PM tomorrow night. He’ll be joined by singer-guitarist Johnny L., a member of The Slugs as well as a former member of The Hideouts. The two will perform individually and as a duo. The Factory Theater is presenting The Night Of The Factory Jams on Monday, September 23rd at The Abbey Pub. A $10 admission will get you in to see music by Timothy C. Amos, Jason Moody, Chuck and Sara, Cain Mutiny, and Phil Angotti. There’s no mention of this being a fundraiser for Factory Theater, but I’m guessing that’s the case. The Calvin Lewis Bobby Mayfair Show[s], a short film written and co-directed (with Steve Avery) by Second City alum, TV host, and comedian Will Clinger, will be screened tomorrow night at Miska’s Lounge And Bar as part of The Chicago International Reel Shorts Festival. The Coolest Musical In The World. 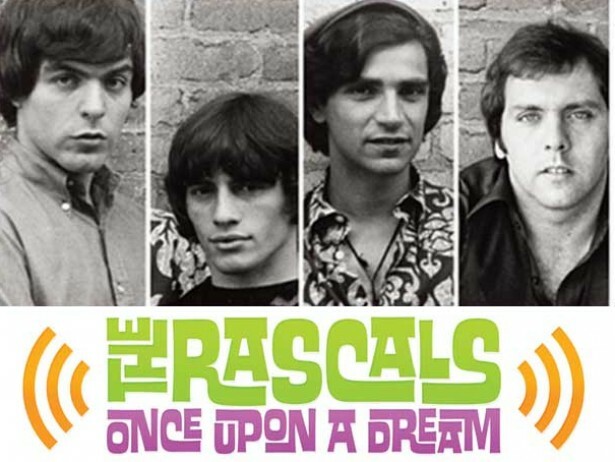 As noted in writer Johnny Oleksinski’s piece in yesterday’s Chicago Tribune, Broadway In Chicago is bringing the The Rascals Once Upon A Dream musical to Chicago. Written, directed, and produced by musician/actor Little Steven Van Zandt, the musical features 30 songs, including “Lonely Too Long,” Good Lovin,” “It’s A Beautiful Morning,” “I Aint Gonna Eat Out My Heart Anymore,” “Groovin,” and “How Can I Be Sure.” Van Zandt is also the host of the syndicated Underground Garage radio program, where he claims to play (and I agree) the coolest songs in the world. The critically acclaimed alt rock/Americana band Over The Rhine, led by Karin Bergquist and Linford Detweiller, will be in town next Friday for a show at the Park West. Singer-guitarist Ellis Clark plans to videotape and multi-track record the official release show for his new solo effort, LP Number One at Mayne Stage on October 5th. Special guests include Phil Angotti, who recently released his latest CD, Life And Rhymes, and saxophone player Mars Williams, who has played with The Psychedelic Furs and other well-known acts. When I reviewed Clark’s LP Number One here on BHT (see July 17th post) I praised his willingness to explore new territory, such as the gospel-influenced “God In The 1980s” and the techno-oriented “Half Glass Full.” His October 5th gig will be part of a CAUDog Records showcase that includes Goodbye Home’s release party for its new Electric Cowboy Lullabies, and a performance by rockabilly duo Amazing Heeby Jeebies. Coffee’s On. The weekly Internet show Sunday Morning Coffee With Jeff kicked off its sixth season last Sunday. 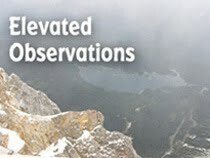 Host/producer Jeff Kelley is back with his offbeat commentary, and has created some fun graphics to go with a new batch of regular features. Longtime contributor Willy Deal resumed his search for live entertainment in his On The Road segment and once again found local copy band Goin’ South. One of my favorite things over the past few years has been Jeff’s Dance Party, a mashup of an obscure garage rock song from the 1960s and an even older film of people dancing. Sometimes the juxtaposition is hilarious, and it’s always fun. Kelley wants to add some spice to the segment by having people send in videos of themselves introducing it. Just a quick, “And now here’s Jeff’s Dance Party,” kind of like the promo spots they run on PBS. Anyone interested can contact Kelley at www.coffeewithjeff@gmail.com. I wrote and performed over 40 bits for the second through fourth seasons of Coffee (21 for Manchester Gallery alone) but after my camera person/editor moved on to better things, I’ve been struggling to contribute. Kelley, Deal, and I have kicked around some skit ideas, so hopefully we'll have something brewing soon. If not, I may monopolize the Jeff’s Dance Party intros.